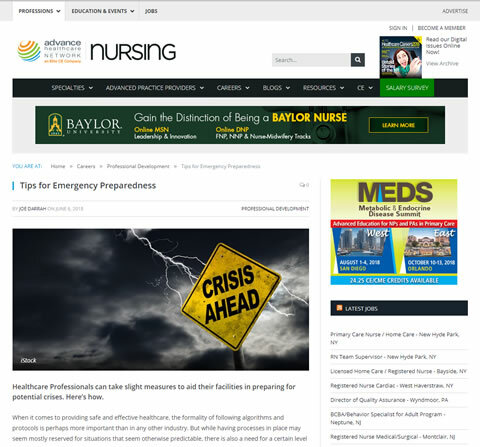 Healthcare Professionals can take slight measures to aid their facilities in preparing for potential crises. Here’s how. When it comes to providing safe and effective healthcare, the formality of following algorithms and protocols is perhaps more important than in any other industry. But while having processes in place may seem mostly reserved for situations that seem otherwise predictable, there is also a need for a certain level of consistency that should be practiced during times of unpredictable events if patients and staff members are going to have the best chances of being safe.